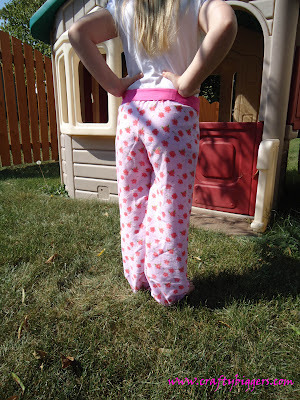 I recently had the opportunity to review a new pattern for the Whimsy Couture Pattern Shop called the Jump Around Pants. They are super comfy elastic waste pants with a sweet little sash. She's the most anti-pants little girl that I have ever met. 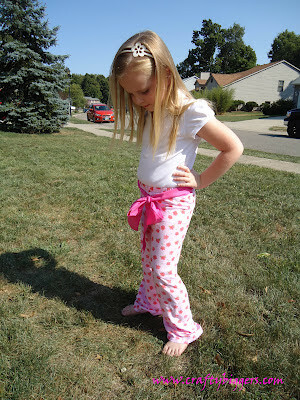 When I told her that she was going to model some new pants she gave me an "are you serious" look then said, how about you make my baby and me matching pants and then I will be happy to wear then. Sounded pretty reasonable to me. I found this cute light pink with coral flowers fabric in my stash. It must have been there for some time because I don't even remember even remember buying it. As soon as I showed Maddie the pants she said that the 'optional' sash was a must. I think she was right. 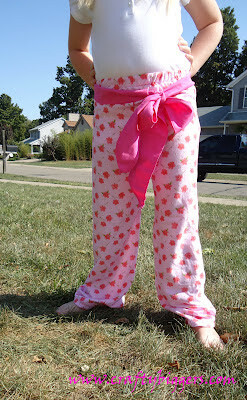 They are cuter with the sash and they look a little like pajama pants without it. These pants definitely leave enough room for jumping and playing and anything else my little lady can get herself into. 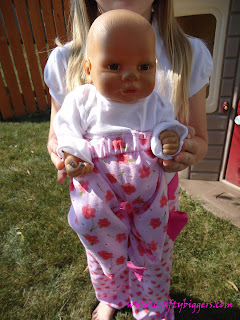 Maddie insisted that I post a picture of baby in her matching pants. They are a little big because I used the newborn size of the pattern to make them but we also have bigger baby dolls that will fit into these perfectly. 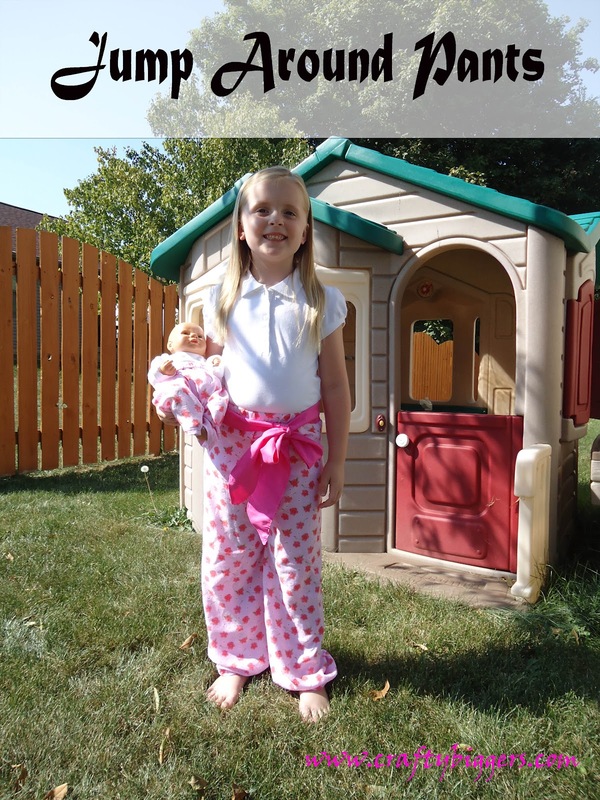 These were so easy to sew and I completed them in under an hour. Babies were even quicker. My favorite part of the pattern is that it fits newborn to girls size 10 so I can buy 1 pattern for both my girls and it will last for a couple more years. I think that some fleece versions of these will be perfect for the cold Ohio winters we get around here. Those are so cute and I love how the doll has a little pair as well. New follower from Mom's Monday Mingle. Thanks for stopping by. Wish I had realized sooner that all it takes is a matching doll outfit to get a cooperative model. Thank you so much for the lovely feature of my pattern! I loved having you test for me (and look forward to future tests).